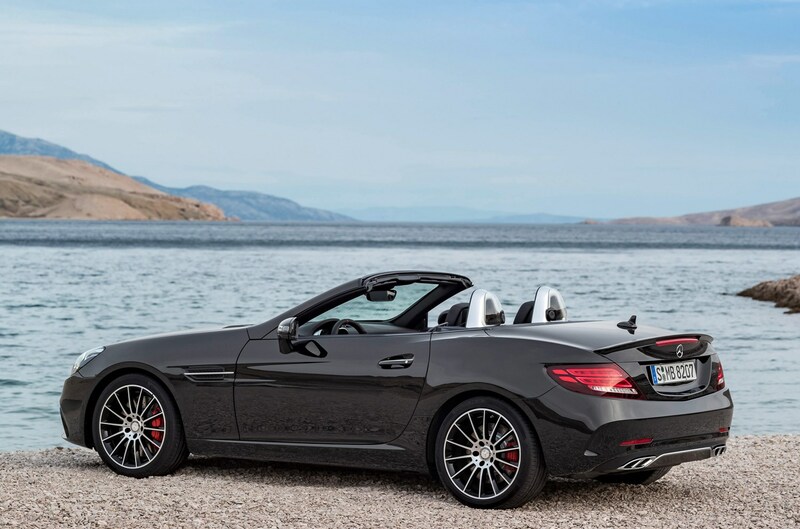 Insurance group: 41 - 46 How much is it to insure? 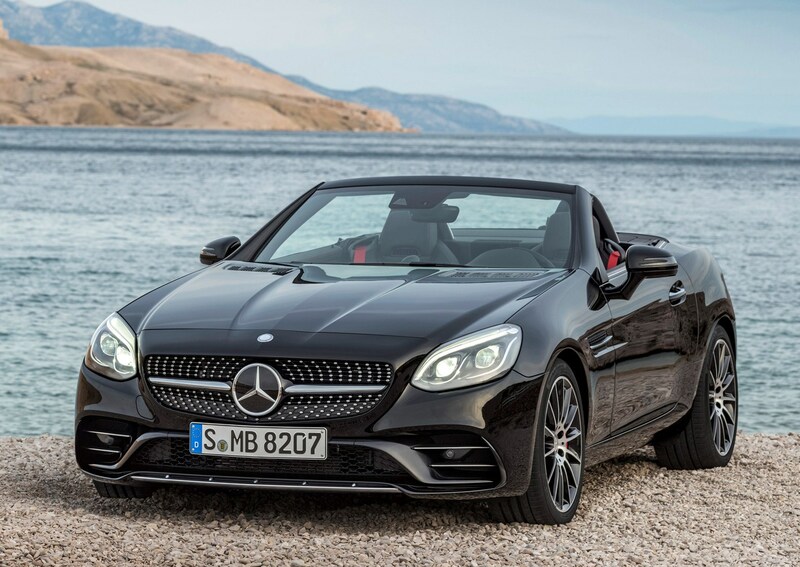 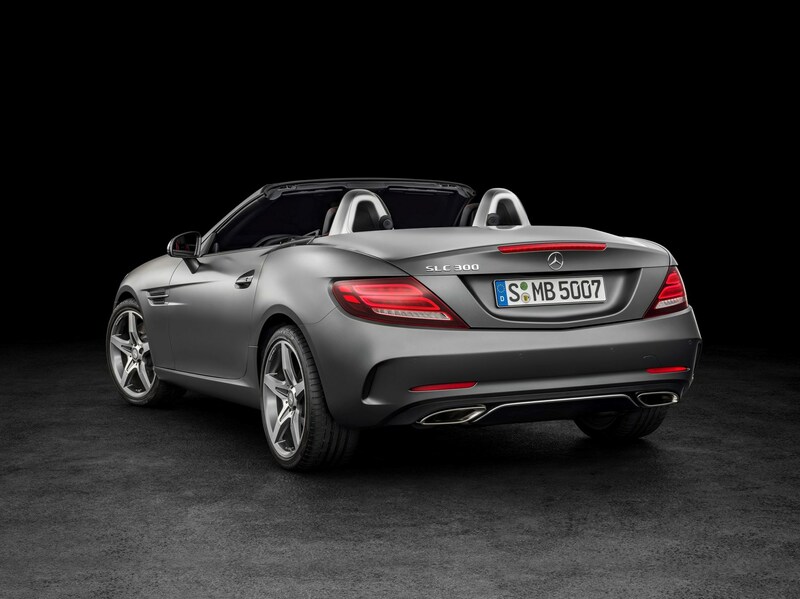 The Mercedes-Benz two-seater roadster has celebrated its 20th birthday with a new look and a new name – gone is the SLK, replaced with SLC - a nod to the C-Class from which it is derived. 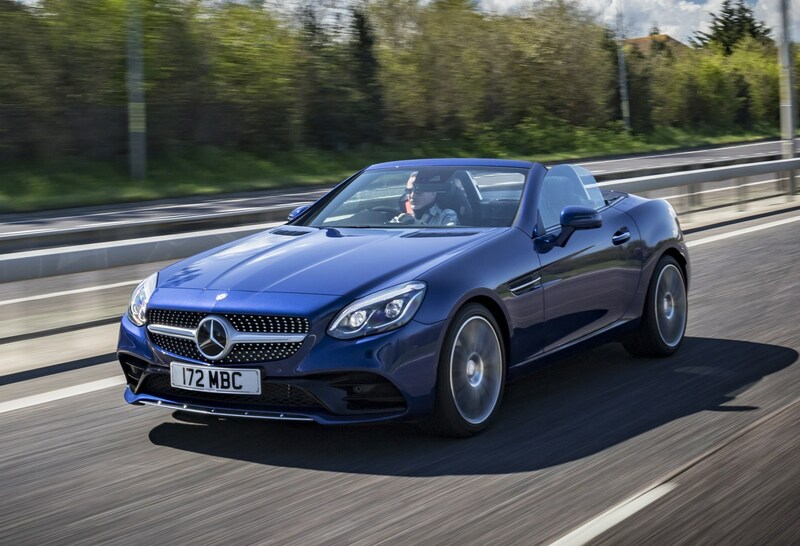 As well as familiar Mercedes family looks, the updated car also features new technology and improved engines to help it take on the Porsche Boxster, BMW Z4 and even the Jaguar F-Type. 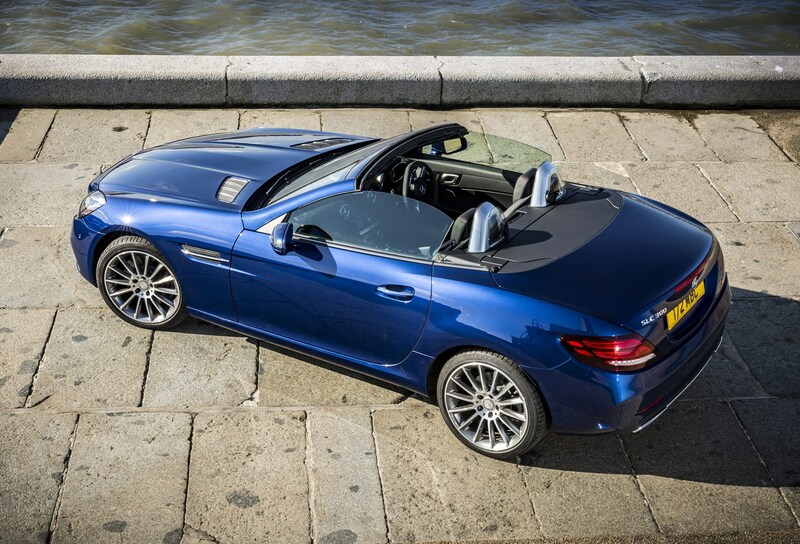 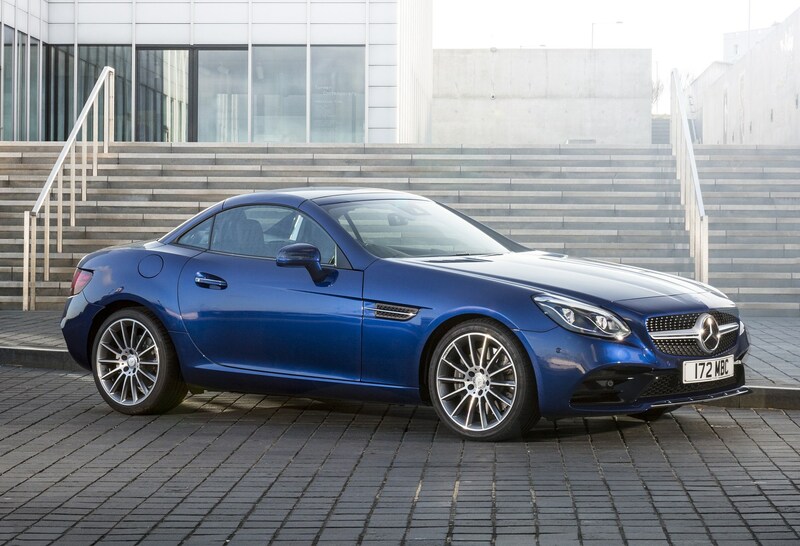 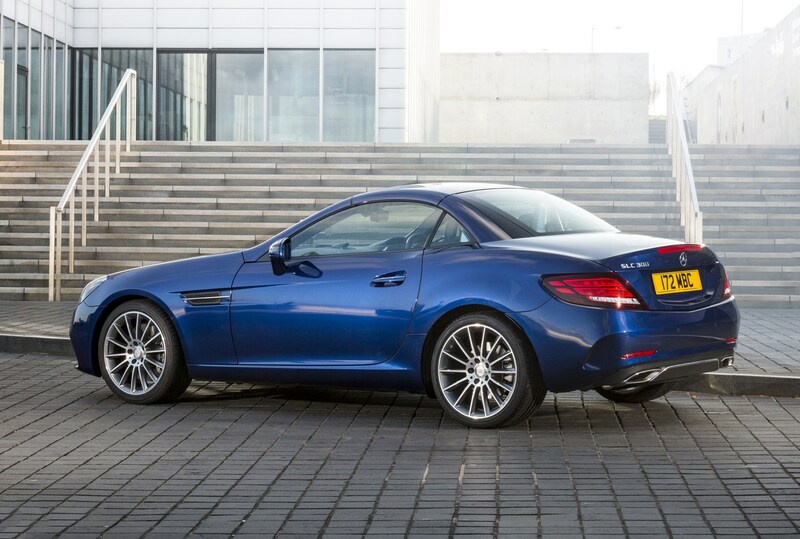 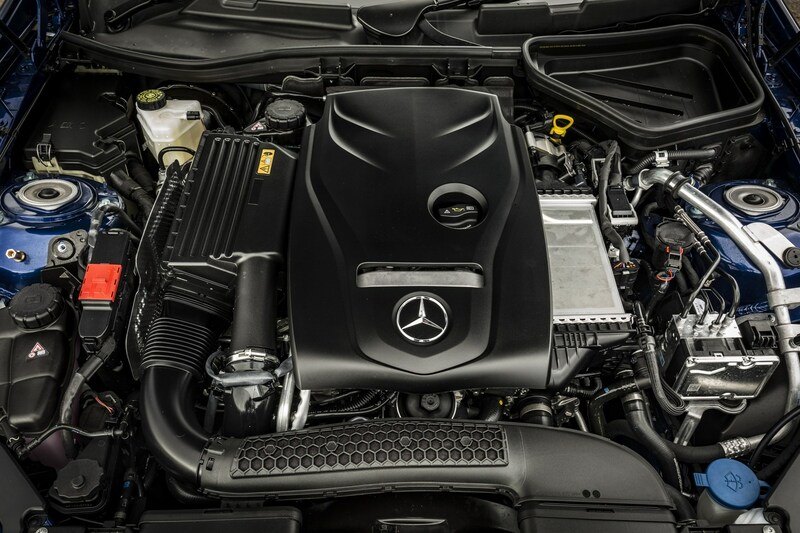 The range kicks off with two different 2-litre petrol engines in the SLC 200 and 300, and the 2.1-litre diesel previously used in the SLK. 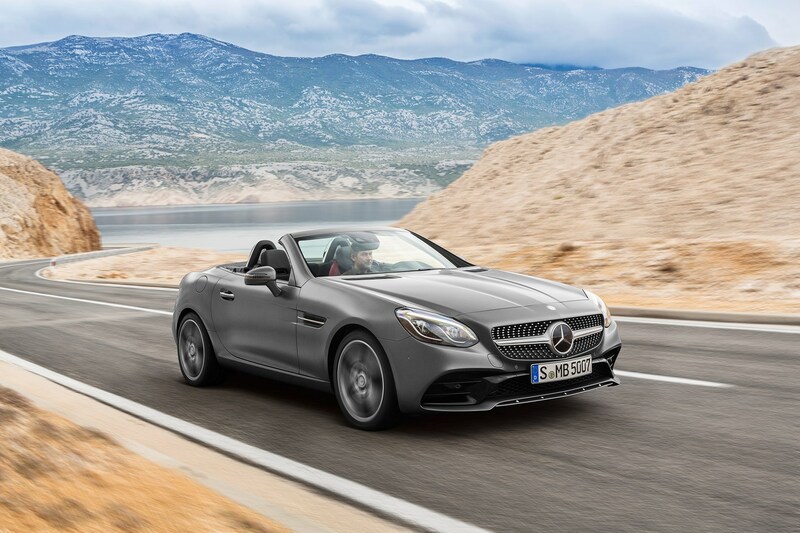 It’s no surprise that the latter is expected to account for 70 percent of sales, as the SLC 250d promises contrasting abilities of a 0-62mph time of 6.6 seconds, and up to 70mpg on more sedate drives. 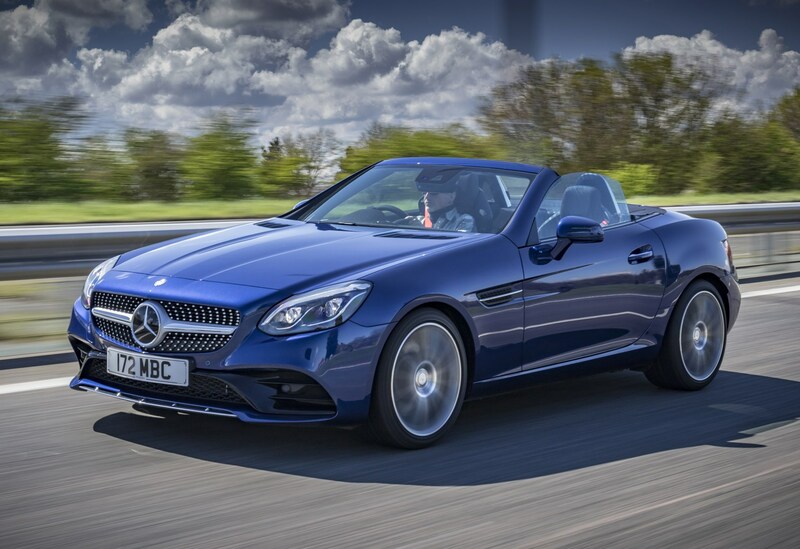 There’s also a range-topping Mercedes-AMG SLC 43, powered by a turbocharged 3-litre V6 engine, which we cover in a separate review. 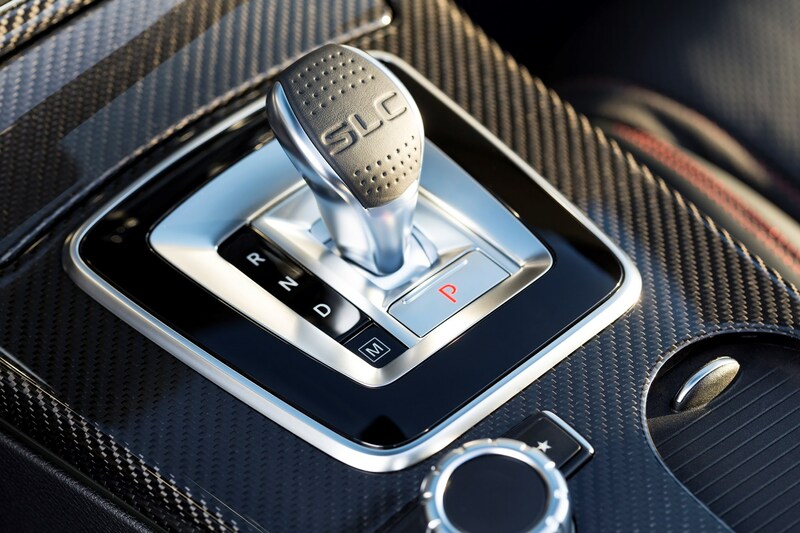 All variants are available with the 9G-TRONIC automatic gearbox – it’s standard on the SLC 300, SLC 250d and SLC 43, and optional on the SLC 200. 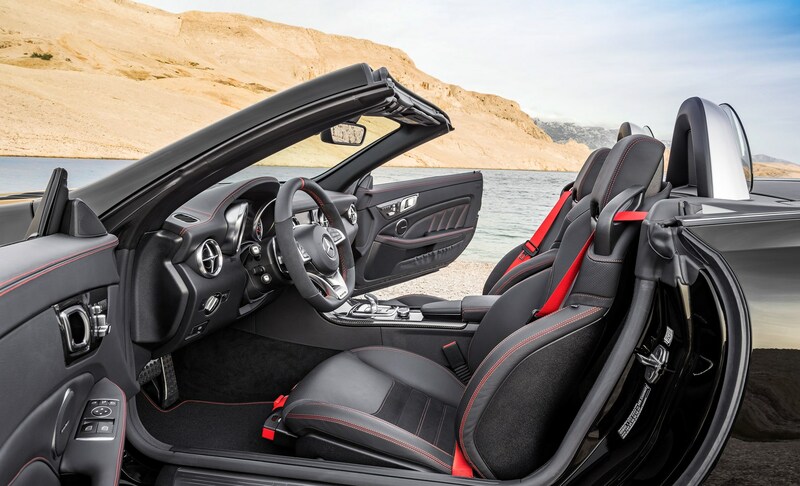 Pick the auto and you can also have the Mercedes-Benz Dynamic Select system to help tailor the characteristics of the car, altering the engine, gearbox, steering and suspension set-up. 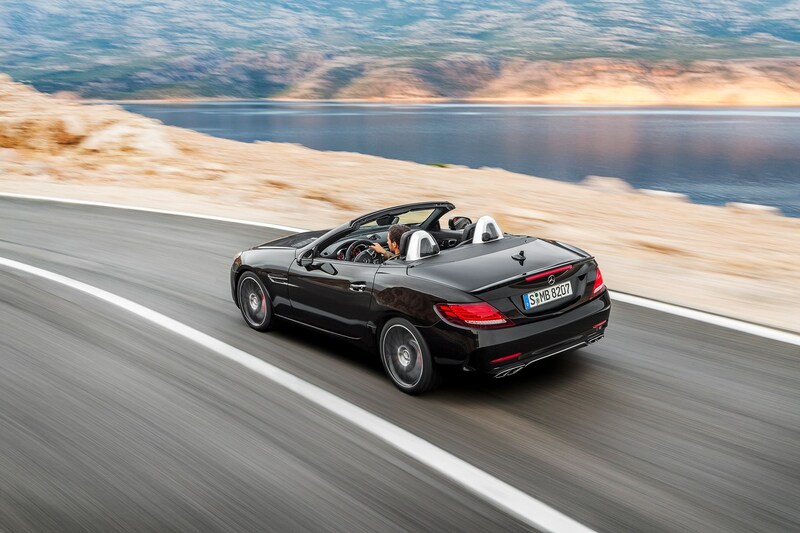 You get more driver assistance kit this time around, with standard Active Brake Assist using a radar to warn the driver about potential collisions and automatically apply the brakes. 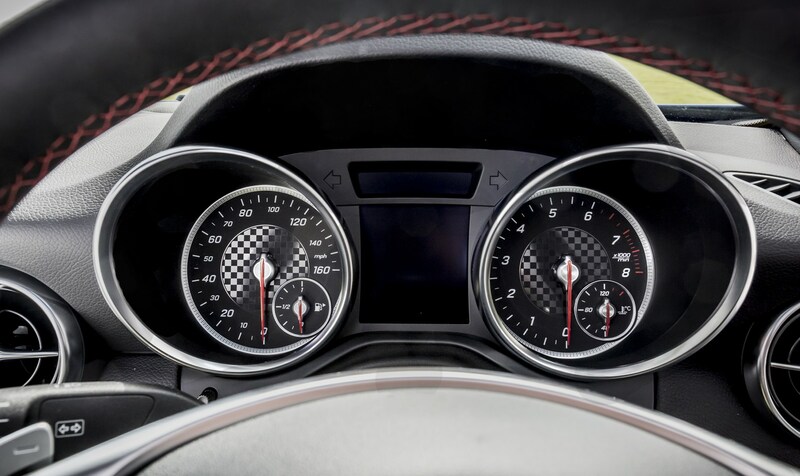 Blind Spot Assist and Lane Keeping Assist are also optionally available. 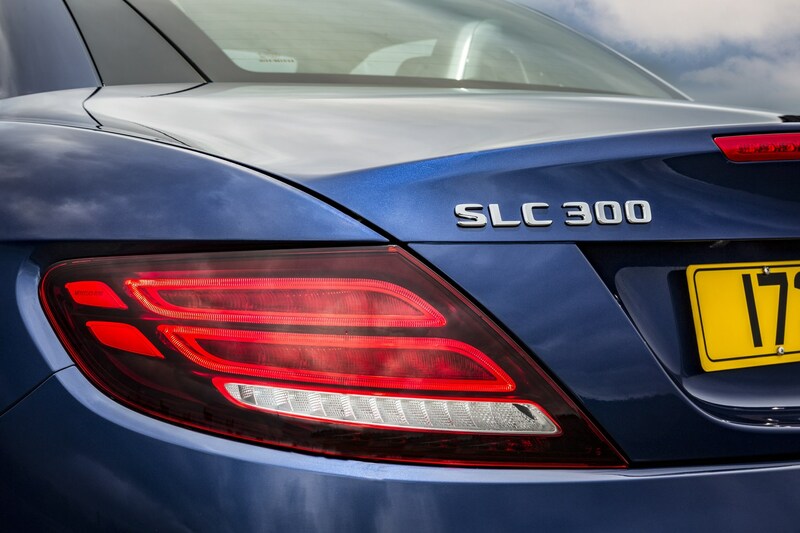 In addition you can specify Adaptive Highbeam Assist Plus to allow for continuous high-beam headlight usage without dazzling oncoming traffic. 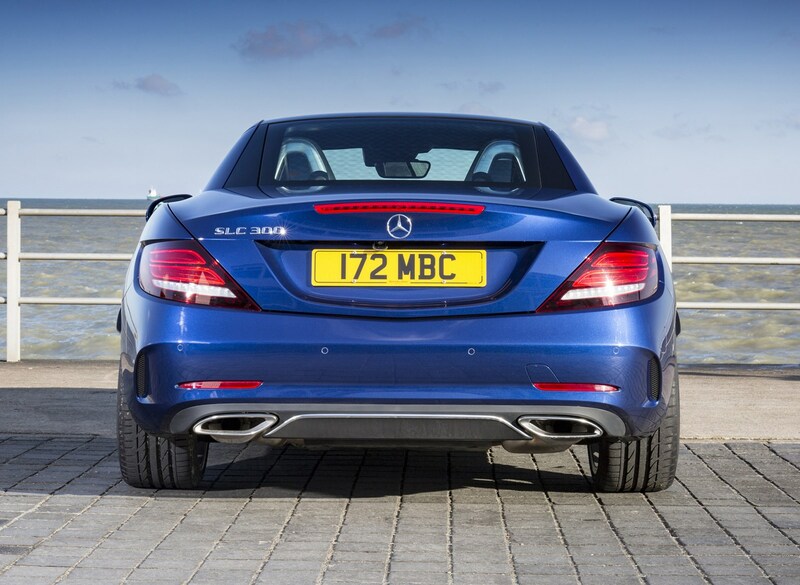 Traffic Sign Assist keeps an eye out for road signs to warn the driver of changing restrictions. 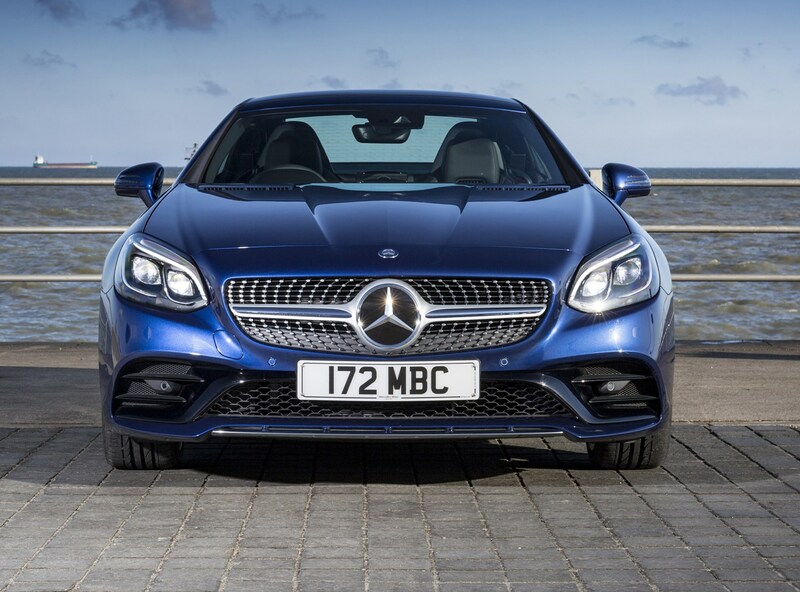 There is also the Mercedes Comand Online infotainment system displayed on a seven-inch screen, with sat-nav updates for three years, internet access and phone connectivity. 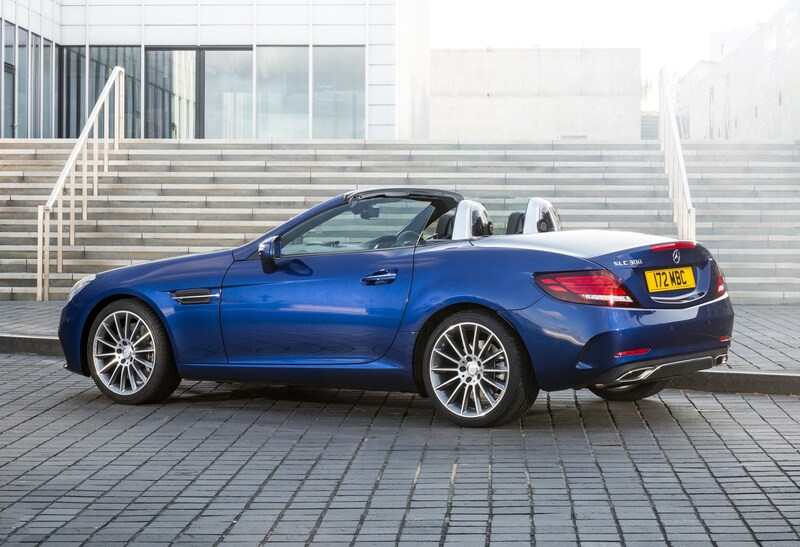 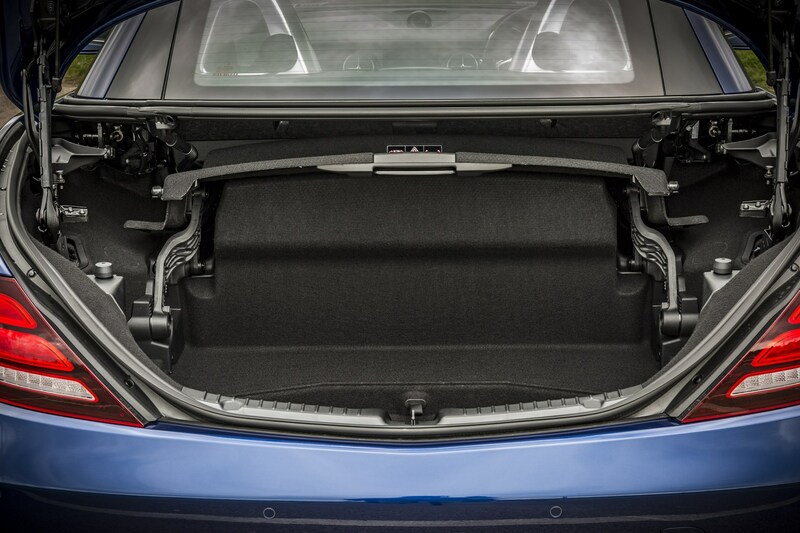 Parking Assist sensors and a reversing camera are now available as optional extras, making it easier than ever to guide your SLC into a gap. 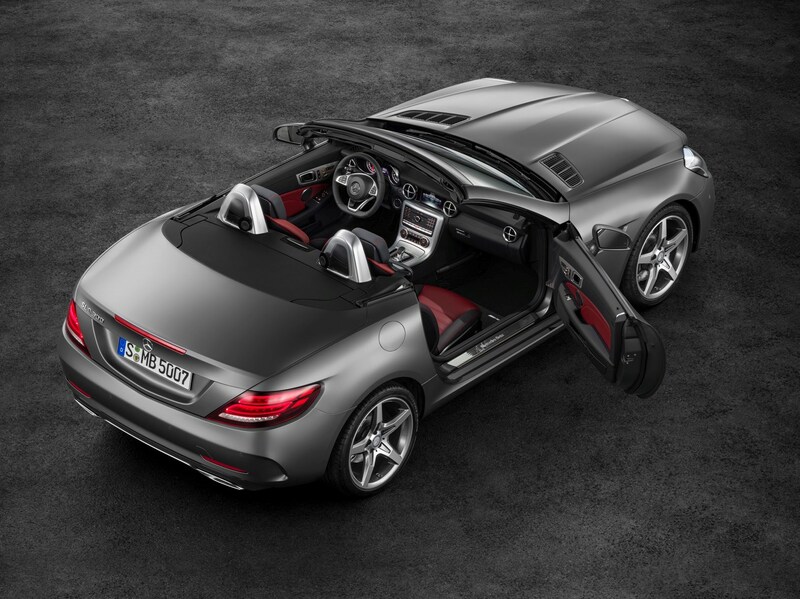 The folding solid roof can now be raised or closed at speeds of up to 30mph. 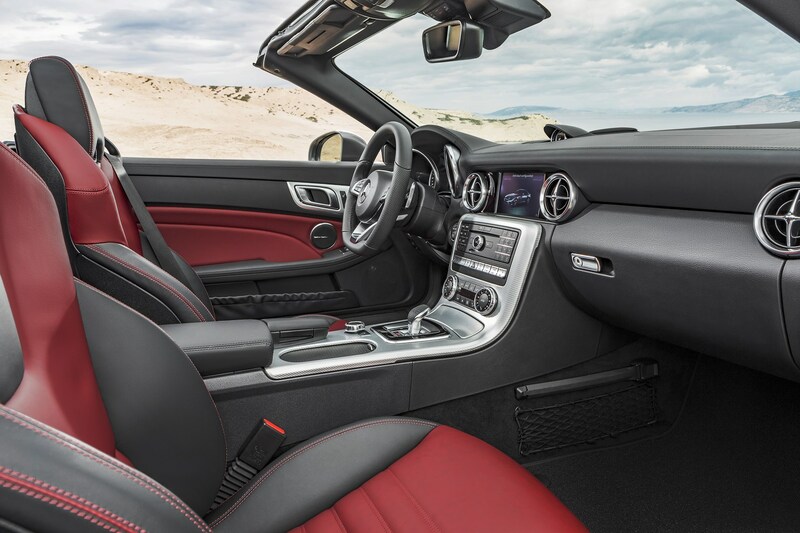 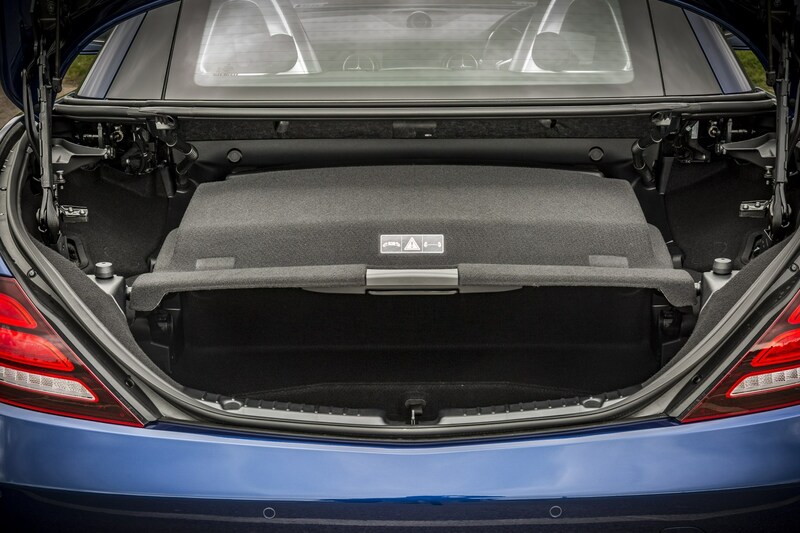 Lower the roof and you can ensure you and your passenger are kept warm with heated seats and Airscarf technology, which blows a stream of warm air around your neck. 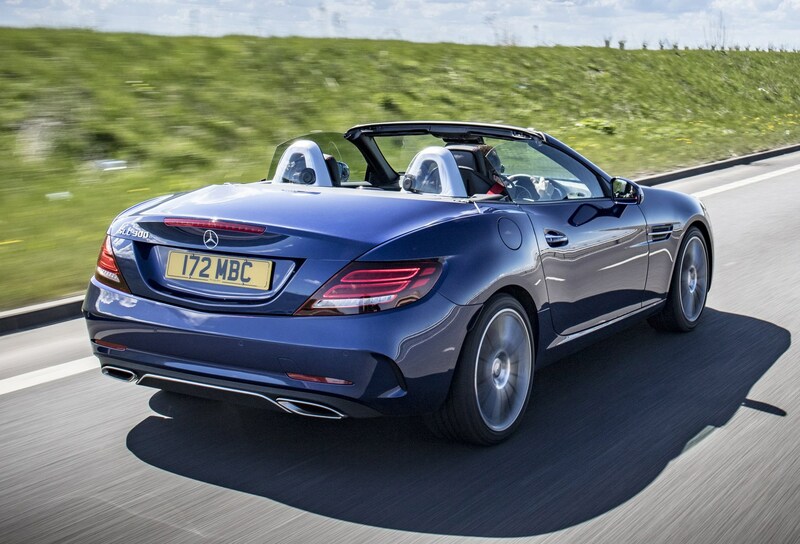 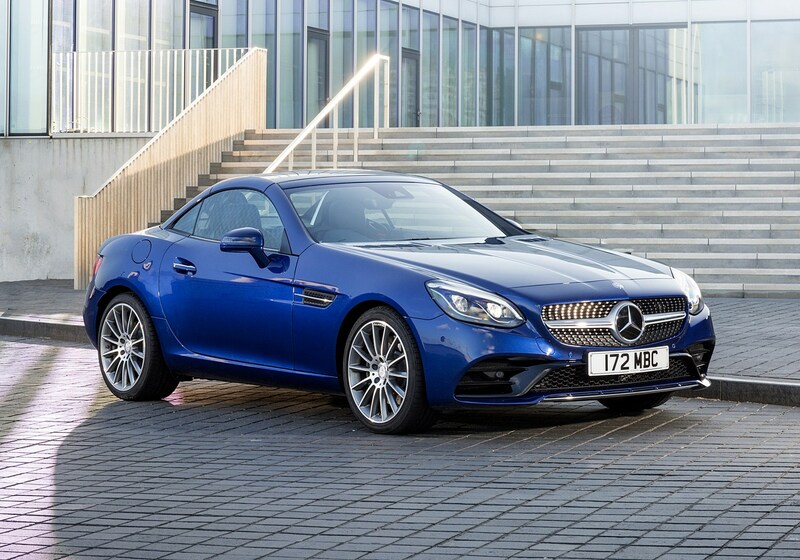 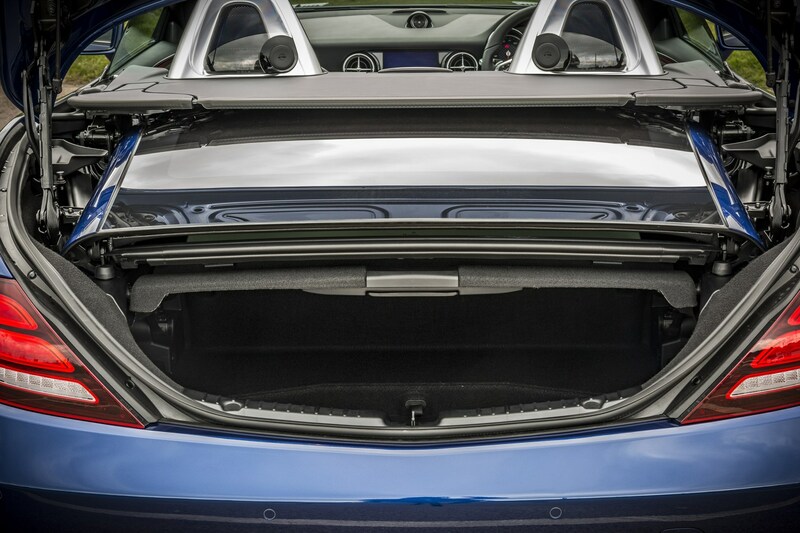 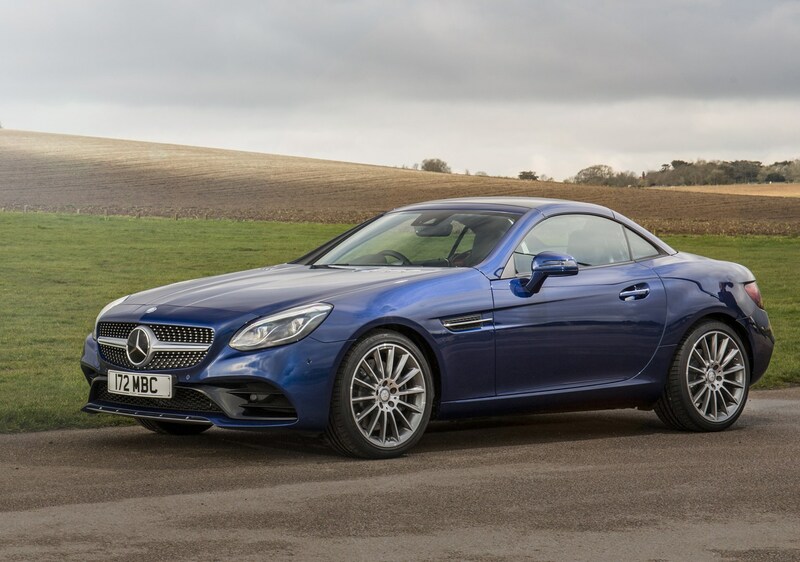 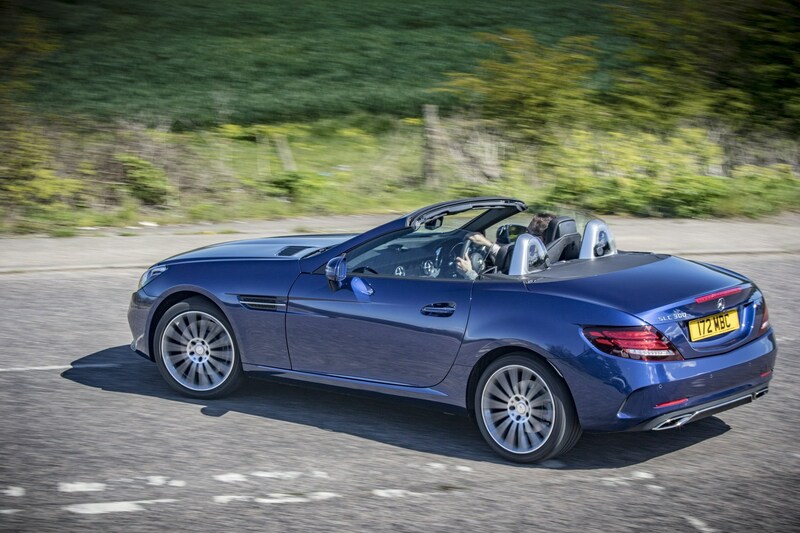 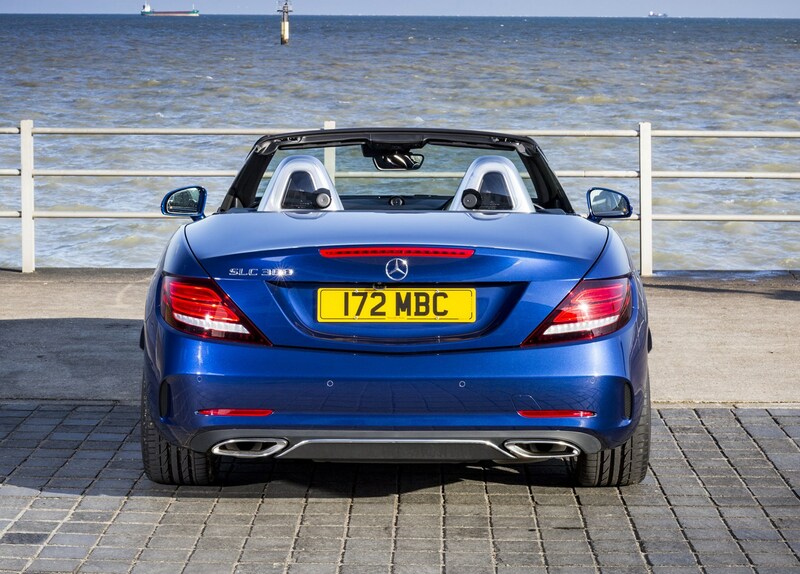 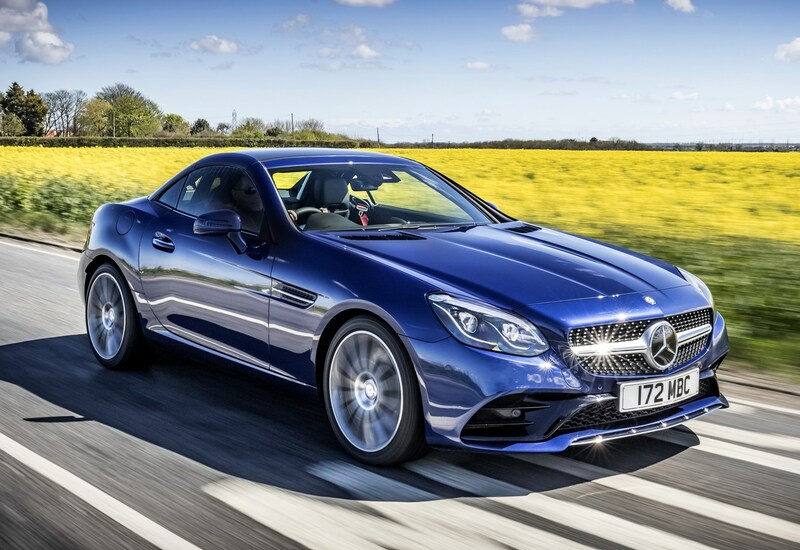 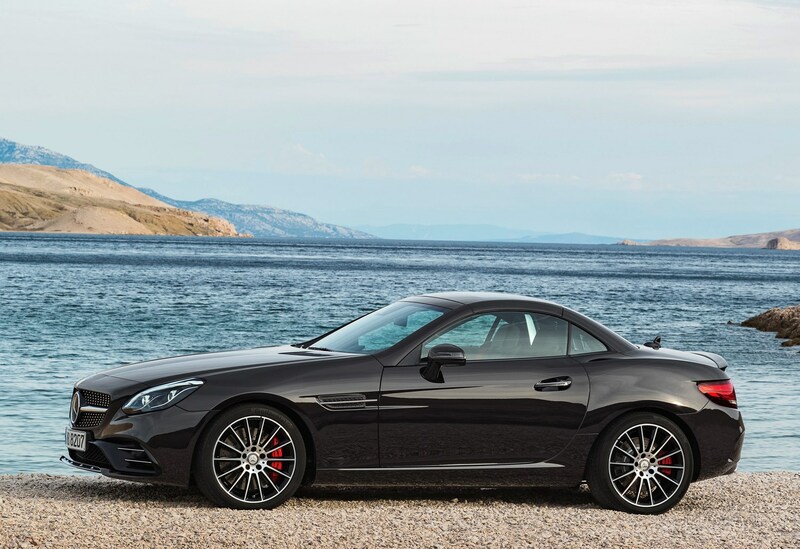 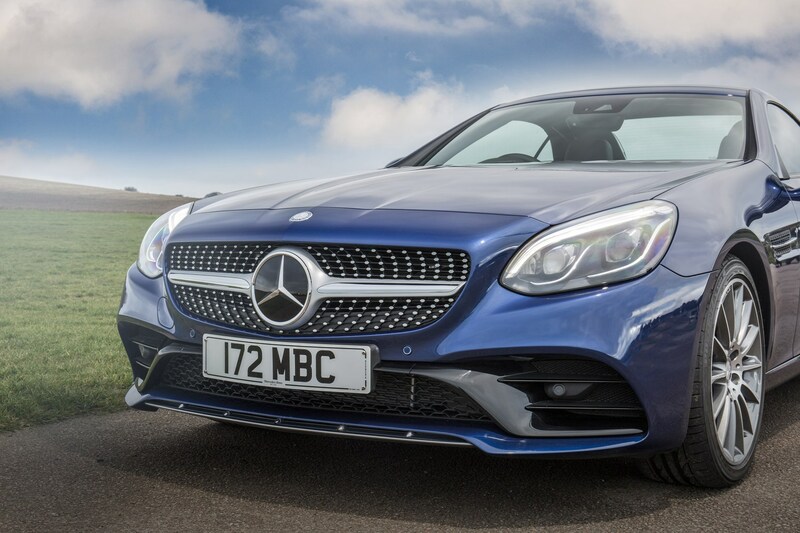 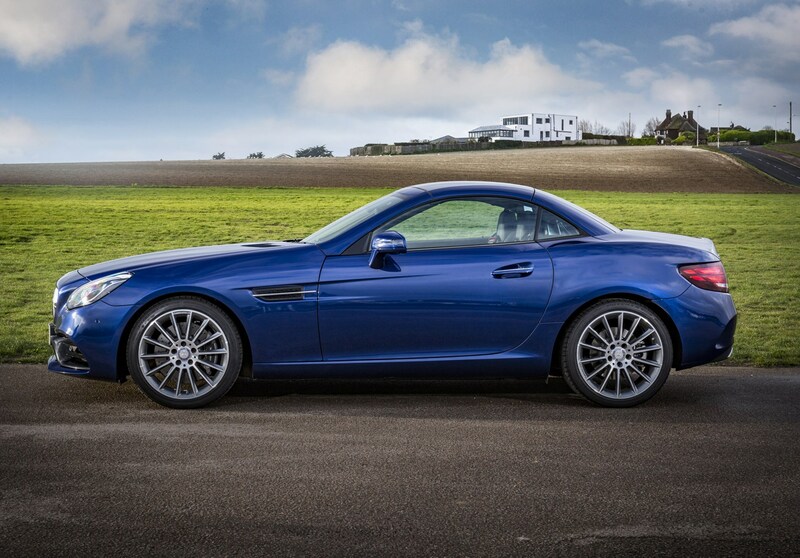 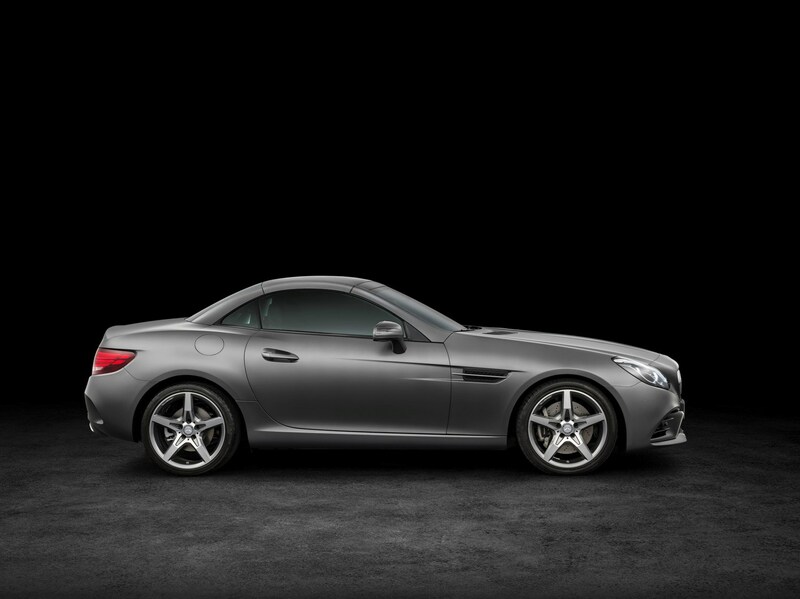 Read on to find out more in our full Parkers Mercedes-Benz SLC review.